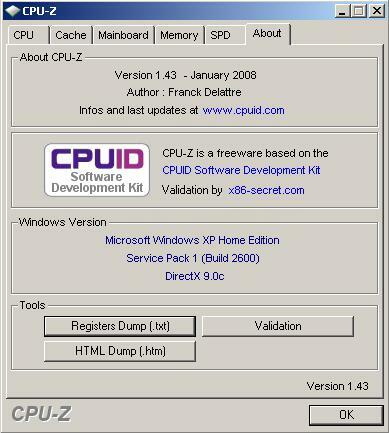 A very small and useful utility tool, CPU-Z 1.47 allows users to gather quick information about their hardware component and system, such as the motherboard, processor and memory data. In this latest version release, CPU-Z developer has added new supports for the processors. One of the beauties of this utility is that the application itself does not require any installation. Simply download and run the executable file; hence, no messing with the Windows registry. To remove the program, simply delete the files, it is as clean as it can get. This entry was posted on Saturday, September 13th, 2008 at 1:19 pm and is filed under Utilities, Windows . You can follow any responses to this entry through the RSS 2.0 feed. You can leave a response, or trackback from your own site.